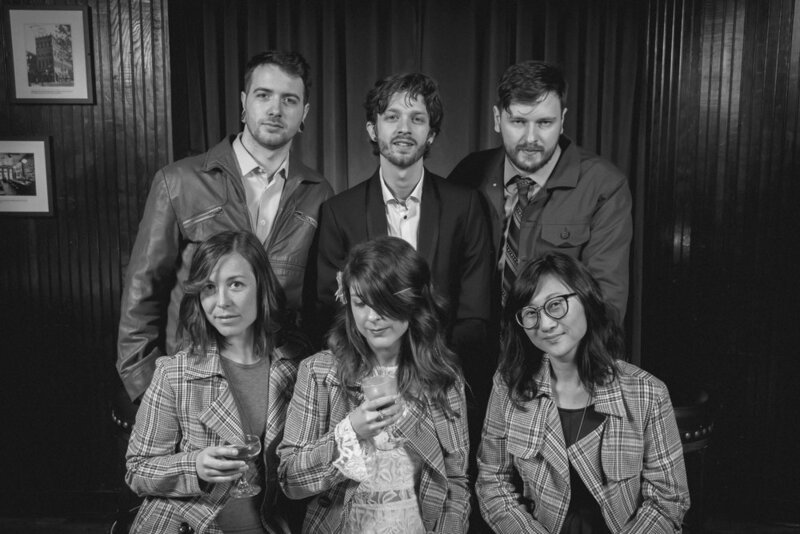 The Forever Agos is a 7-piece ensemble from Portland, Oregon. Their music is a time capsule that evokes the doowop love ballads of the 50s, the Americana and Motown vibes of the 60s and 70s, a bit of flannel, and a modern yet rustic sensibility. The Forever Agos got off to a serendipitous start. Each wandering from Alaska over the past decade, Wes, Derrin and Tobin reunited in Portland over a few drinks at Renner’s. “Derrin was tending bar and Tobin had an internship at a studio down the street. That night, at that studio, is when we first jammed out Foolin Around and I knew we had to be a band." Wes recalls. That song would later become the title track of their first album. The three moved in together in 2015 and had a practice space to call home. It was clear they needed some serious vocal backup to manifest their sound. One karaoke session and a roller skating outing later, they expanded the band -- Stef, Lara, and Stacey joined taking them to the next level and giving The Forever Agos their true sound. Each band member adores their individuality and they come together to create a sound all their own, which is exhibited in both their first album and new music. “We were lone wolves in need of a pack. But we found each other and now we're a family, a tribe," remarks Lara. There is a clear bond between each member and the music they’re making, which makes for an incredibly personal and touching performance.